The Grading sessions will be held at our Blackfriars dojo. 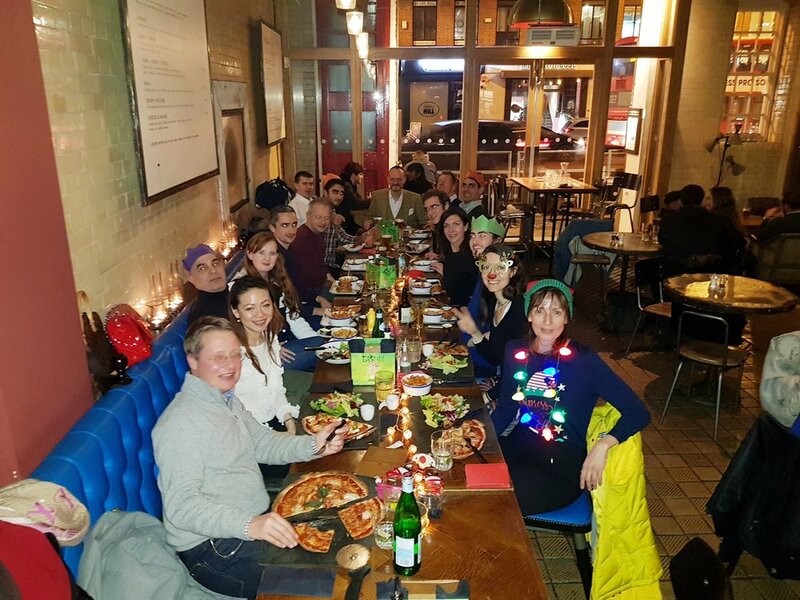 Sasori SKC celebrates 2018 over pizzas and burgers at The Firestation, Waterloo. It was a great night had by all. A very happy birthday to Sensei AG Sanna on 15 November 2018! Karate seminar hosted by Sensei Sanna, hosted by Enfield Karate Club. From Saturday the 9th of June 2018, our Pimlico Dojo will be moving to Chelsea! To clarify, the above will only affect our Monday Class (19:00 to 20:00) and Saturday Classes (11:30 to 12:30 pm and 12:30 to 13:30 pm). Our Blackfriars classes are not affected and will continue as per normal. Thank you. A great day at Fukuoka/Sasori SKC in London where a group of WTKO members and a few friends from other Karate Groups attended a Seminar by two senior WTKO instructors (Scott Langley and Angelo Sanna) who took turns teaching their audience a few ideas on how to make their Karate work by understanding Kihon (Basics). Langley Sensei made a point in emphasising Gyaku-Zuki and which body parts to engage to perform it correctly, followed by Kizami-Zuki and Mae-Geri, all done using the correct posture, and without losing form, while Sanna Sensei combined some basic techniques plus steps and made them into a sparring exercise followed by Kihon Kata (Taikyoku Shodan) with a difference by changing the usual techniques with other blocks and punching, this was followed by Heian-Nidan using only one arm, and then the other, then the Kata was repeated but starting moving to the right rather than to the left, and the latter was followed by some applications. All in all a really enjoyable and meaningful way to spend a Sunday afternoon. Soon to be repeated (we hope)! On 3rd October 2016, WTKO hosted the WTKO European Championships in Amstedam, Holland. Congratulations to Amy Davis and Angeline Kua, winning Gold in senior Kumite and Kata respectively for team WTKO England!